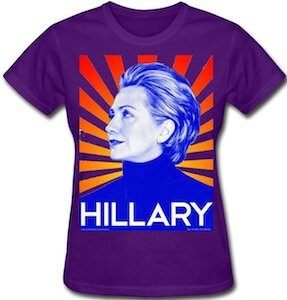 If Hillary Clinton is your politician of choice then maybe you would like to own a great t-shirt with her on it. This t-shirt is available in many colors and all show a square with in it a picture of Hillary Clinton while looking to the sides and you find her in front of a striped background and below her picture it says in big letters “Hillary”. So if you want a nice Hillary Clinton t-shirt to show the world who you want for President or just to show the world how amazing you think she is. You can get his Hillary Clinton t-shirt in women’s sizes XSMall – 2XL so that it fits you perfectly. Now you plate collection can have a President Barack Obama plate. This Commemorative plate is 10 inch in diameter and shows Obama in the middle with the Stars and Stripes flag and fireworks in the background. 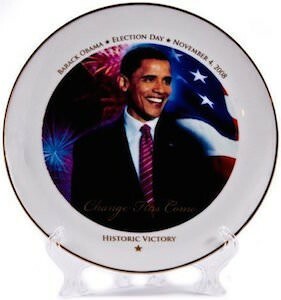 Besides the President Obama picture the plate has a white border that says “Barack Obama Election Day November 4 2008, Historic Victory”. And this maybe a real ceramic plate it is for decoration only. If you wanted to eat of a plate with the US President on it then this is not the plate to use. A historic moment can now be part of you plate collection and I am sure that you can give this President a special place. 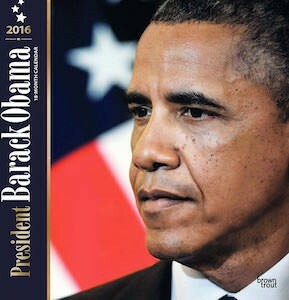 If you are looking for a nice calendar that shows one of the world leaders then this 2016 President Obama calendar could be perfect for you. The calendar shows a new amazing photo of the United States President every month of the year so that you can enjoy the first black president on your wall for the whole of 2016. The President Barack Obama calendar is made by Brown Trout. I am sure you can find a spot on your wall for POTUS and I am sure you will be happy to see that the president will be watching you from his spot on your wall. Even the president of the United States of America can have his face on a roll of toilet paper. Barak Obama probably never thought he would find his picture in an average American’s bathroom, but now you can! 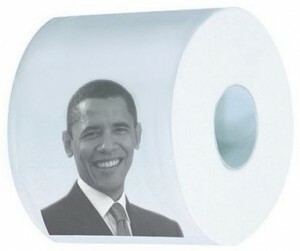 This toilet paper can make a great gag gift or a great gift for any Obama fan. Each square of toilet paper features a black and white picture of Barak Obama. It is a nice portrait style of Obama wearing a suit with a nice tie and a big smile on his face. This toilet paper is a 2-ply roll printed with a black and white image that will not smudge when you try to wipe up your mess or messes. Don’t forget to wipe properly or Obama will get you. Mahatama Gandhi from a young age inspired and helped people rally for their rights and freedoms as human beings as a whole. Now you can bring your inner Gandhi out with this great tank top with a Gandhi image. 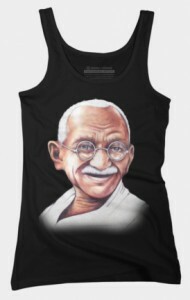 This tank top features a headshot graphic of Gandhi. It is a color graphic that is from Gandhi’s shoulders up. He is wearing a white shirt and his famous circular framed glasses. This is also an older picture of Gandhi so his hair is white. White and black are the colors you can get this women’s tank top in. It comes in sizes Small to XL and is made with 100% cotton for some super comfort. Raise awareness for freedom, justice and peace with this great t-shirt celebrating the life of Gandhi. Now you can start feeling like a president by simply wearing this face mask. 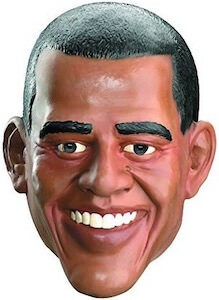 This mask will transform you into Barack Obama. OK you just look like him you won’t get his powers or the rest of his body just the face will transform. Just imagine wearing this mask to a party, people will laugh and all want to take a picture with the president of the United States of America. Halloween will be a blast when you look like a president, any one can be a pirate or a clown but you can become a president and people will believe it. Have you ever wanted to give Obama the finger? Oh wait that came out wrong, I meant have you ever wanted to have control of the United States Of America with one finger! This is a finger puppet that will allow you to be Barack Obama, the finger puppet features a bust of Obama with a blue suit jacket, white collar under shirt and a red tie, yes red, white and blue. With arms and a head with facial features detailed enough you know it is the 44th President of the USA. 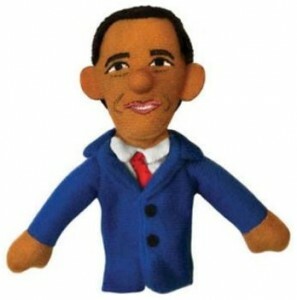 The Barack Obama finger puppet stands about 4 inches tall and is made to be durable, it is plush and will be a great gag gift, story gift or just for the Obama fan. If you are a political fan, or just looking for a different and unique t-shirt. Look no further, we have just the t-shirt that you have been looking for. The graphic is on the front of this t-shirt. It is a black and white drawing of the 16th president of the United States, Abraham Lincoln. It looks like it was drawn right after he was elected as president. This t-shirt comes in 6 different colors, cream, ice blue, kiwi green, silver, turquoise and white, so make it yours. It comes in sizes 6XL all the way down to a Small. It is made of 100% cotton and has a unisex fit for everyone! The best quality this shirt offers is it is pre-shrunk, so it will fit through out its life. It could be considered a prank, but it is just too funny not to buy for the politician in your life. Hillary has taken a lot of heat from both the political world, and in her personal life, but she just never quits. Neither will this roll of Hillary Clinton toilet paper. The smiling head shot of Hillary Clinton has no idea what she is in for. Her smiling face re-occurs on each sheet of toilet paper until the end of the roll. The image is printed in black and white. This roll of political toilet paper is a roll of 2-Ply, which may not be strong enough for what you are looking for. It will still do the job that it is intended for, and I’m sure Hillary would be ok with that. The Abraham Lincoln bandages each have a black and white image of Abraham Lincoln standing tall with a beard and in a suit with his trademark top hat and bow tie on. 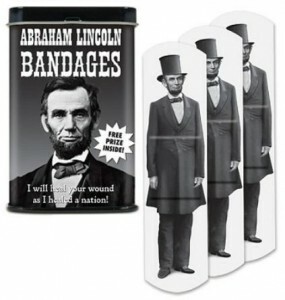 When you get this set you will recieve a toy inside aswell as the collectors tin which features a black and white bust image of Abraham Lincoln and the saying “I Will Heal Your Wound As I Healed A Nation”. Each collector tin has 20 bandages inside, each bandage measures 3 inches x 3/4 inches and are made with a latex-free adhesive and feature a sterile gauze. 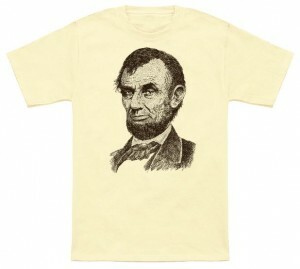 Let the old wise one Abraham Lincoln help heal you.